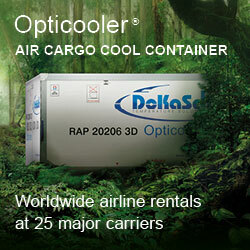 Up to now, Emirates SkyCargo is not known as a player that has put pharmaceutical goods high on the loading sheet. This hesitance the Arabian airline said it would give up to follow a more offensive pharma approach instead. 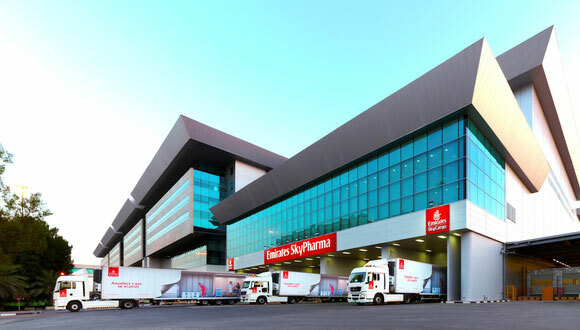 The opening of the newly built ‘Emirates SkyPharma’ warehouse at Dubai International (DXB) triggered this change in strategy. Market experts estimate the pharmaceutical industry to grow roughly by 20 percent annually, if not more. No wonder that cargo carriers around the world are increasingly trying to secure a chunk of this business, particularly since it’s one of the rare segments that promises sound yields. So does Dubai-based Emirates that has a lot of catching up to do as figures prove. Of the 2.5 million tons uplifted in fiscal 2015/16 only 11,000 tons accounted for pharma. It can be expected that the figures go up fast in the months ahead after the airline inaugurated a new dedicated and ‘Emirates SkyCargo’ branded facility for the throughput and storage of temperature critical goods. This might motivate more forwarders to hand over their pharma shipments to a Gulf airline that particularly in summer is facing extremely high temperatures at their hub which ups the risk for temp sensitive shipments to get spoiled during loading, unloading or on their way from the aircraft to a warehouse. The 4,000 sqm comprising building is part of the ‘Emirates SkyCentral’ terminal at Dubai International Airport (DXB) that saw an 11,000 square meters extension. The new building features a variety of temperature-controlled zones ranging from 2°C to 25°C along with 88 individual ULD positions also located in climate-conditioned rooms. It further is equipped with 5 temperature controlled acceptance and delivery truck docks for transports of shipments from the aircraft stands to the cool facility and reversely. It’s a big leap in pharma Emirates is about to take enabled by two novelties: their new dedicated facility and the certification of compliance under the EU Good Distribution Practice guidelines (GDP) for medical products for human use by Bureau Veritas. 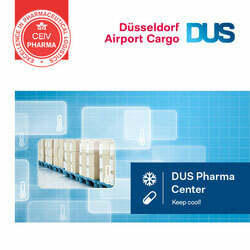 The certification, following a thorough audit conducted by the German Veritas team, validates the carrier’s adherence to the strict regulations on the transport and handling of pharma products at the carrier’s Dubai home base. “Pharmaceuticals are one of the most important products we transport because of the impact on people’s lives and communities across the world,” stated Nabil Sultan upon the ribbon cutting ceremony, EK Cargo’s Divisional Senior VP. In a release, Emirates SkyCargo pats itself on the back, emphasizing that is has become the first freight airline in the world which obtained GDP certification for its hub activities covering two airports. This includes the 24/7 operated bonded trucking service that connects Dubai International (DXB) and Dubai World Central (DWC).